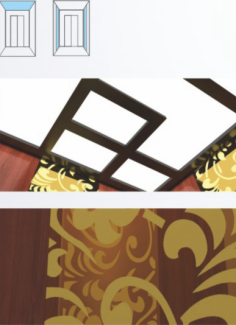 Can fully meet carious space requirements of buildings different scales and different lifestyles. ◆High precision sealed bearing,with greater torque and higher efficiency. The LED light has the advantages of long service life,and low energy cost with softer lighting besides the electricity consumed is just one fifth of that consumed by incandescent light bulb. When nobady calls for the elevator in a fixed period,the light and fan in car will automatically shutoff When someone calls,the device will automatically start,saving energy during the standing time. The adoption the compact control cabinet and the permanent magnet synchronous traction machine customized for CANNY saves the space of the hoistway and pmproves the utilization of the construction space. The LED light has the advantages of long service life,and low energy cost with softer lighting besides,the electricity consumed is just one fifth of that consumed by incandescent light bulb. When nobody calls for the elecator in a fixed time peniod,the light and the fan in the car will automatically shut off,When someone calls,the device will automatically stary energy during the standing time. It provides real-time monitoring of sliding data,and can automatically enter the safe operation mode for emergency according to requirements. It can make a sensitive response to people or objects in the detection area,the design is more thoughtful,and provides more thoughtful protection. Equipped with effective door load detector capable of self-learning the speed of door peening and closing can be freely adjusted making the whole system run comfortably and smoothly. Capable of the adjustment of current magnitude and phase and the precise control of driving torque of main engine so as to ensure the stable running of elevator. 1:My company was established in July 1995 has forty year history, formerly was a state-owned enterprise which belonged to Beijing urban construction group, specializes in elevator equipment sales、 installation、retrofit、upgrading、repair、maintenance and operation services、spare parts sales and lift technology consulting. 3:Own the elevator installation, renovation, maintenance of AAA level construction qualification issued by the State Administration of quality supervision, inspection and Quarantine and five star elevator service enterprise honor awarded by Beijing Elevator Industry Authority. 4:Management personnel,technology quality insurance personnel,safety and risk control personnel,construction personnel in our company have long been engaged in the elevator related work,with many years of experience in the elevator industry. All types of professionals and front-line construction personnel all have certificates. 5:We are distributors of more than 10 brands in the world including high, middle and low level lift, and we had signed a strategic agreement with them and get preferential prices and strong technical support! 6:Our company will donate safety running monitoring and control equipment and monitoring platform for all electrical / escalator of project, make you worry free, safe to use. My company has offices、market development department、the quality safety department、 engineering technical department、accounting department and other departments. Most of the management、technology、construction personnel engage in related work about the elevator and has many years of experience in the elevator industry. All kinds of professional and first line construction personnel will work with certificates. 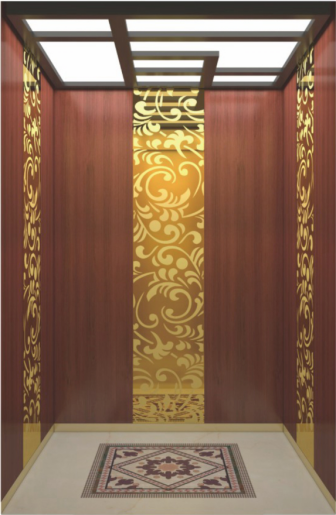 BAHD Elevator, established in 1995, is one of the largest manufacturers and suppliers of the classical decoration and price for machine room less passenger lift passenger elevator in China. Offering cheap price, excellent service and fast delivery, we're also known as one of the world famous brands. Welcome to get the price list from us.